THE PROPOSED BANKING inquiry could be in place within four to five months TheJournal.ie has learned. Party chief whips were briefed this evening by senior Government officials including Government chief whip Paul Kehoe on changes to Oireachtas procedures to allow for the establishment of a new committee to undertake inquiries. The Committee on Procedures and Privileges (CPP) would oversee the operation of any inquiry the committee undertakes. The CPP is to meet tomorrow where the issue is expected to be discussed before it is required to make a final decision by 4 February. 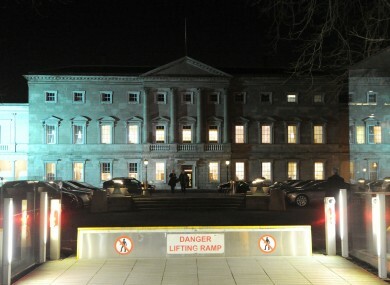 The Public Accounts Committee and the Finance Committee had both expressed an interest in hosting the banking inquiry. Members of the committees could still be on the investigative committee but Labour Party Chief Whip Emmet Stagg has said that all members would have to be screened so as not to be considered biased. Stagg said that is was important that no committee members be considered biased to ensure that no challenge could be taken against the findings of an inquiry. Email “Banking inquiry could be up and running within ‘four to five months’”. Feedback on “Banking inquiry could be up and running within ‘four to five months’”.